Guess a mini task force would be a good idea for this issue. Maybe even implement caps on spvp rewards (definitely high enough that no legit player could ever reach them). On top of which, check connected accounts who profit off the bot (similar login IPs, shared materials etc.). Then remove all affected parties with maximum scrutiny. Pretty surprised this has not set off any red flags yet at Arenanet. What division do you guys play in where you are being teamed with bots so often? I've had them all the way in Plat 3 once. Only once while there though. Yeah, and I've seen them in Legendary too. I call BS on this one. Matchmaker has a wondrous history of matching everything and everyone together, so why would it be bs. I've experienced a bot mesmer mirage player. Plays day and night. Plays quite well. Sometimes gets stuck or wobbles around on same spot on Foefire and Silent Storm. Never reacts to chat. I already /reported it. 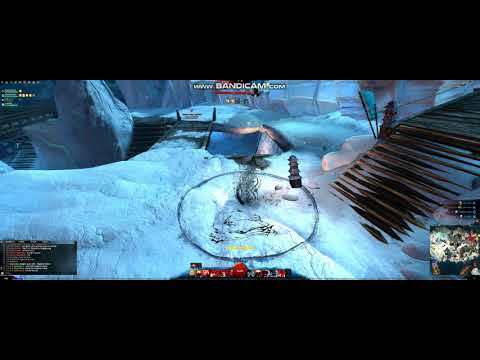 I can provide a video recording to ArenaNet if requested by them. relax anet employees are prob on break. I think they will get on top of this now that its out in the open. Sadly nothing will be fixed. If they get rid of them then there is no way those accounts can buy flashy skins or spend money on gems. Gems and profit > fixing the issue with bots, hackers, wintraders. such doom and gloom. are you in the downey dumps with negative Nancy? Being a gw1 vet from the start to being a gw2 vet from launch all I can say is nothing has change lol. It's all good I found my fun in a part of pvp away from the cesspool that is ranked . Thats what everybody said about bots in gw1. The economy would break, yada yada... never happened, the game got healthier everytime after a banwave. Apparently some of the people here don't AT much, or you'd well know Ranger Dan by now. 100% window boxed bot team. Flashy skins on bot accounts that make thousands of gold? This some kind of sarcasm? Why would anyone spend money on an account which generates enough gold from not playing? A lot more likely is that these accounts are used for gold acquisition for RMT or supplying some main account. Sarcasm lol. I just like to poke at how there is no pvp support I'm gw2. Same circlequest maps after 6 years and same non competitive win trade wars for 10 seasons now. Either do solo only or a soloque and lb with a separate team que and lb. Duo has only made pvp into a wintrade war. This situation pretty much sums up what's left of the PvP community. Ah, well I can agree to that. Not to active with spvp myself but yes, the game mode needs love (and some supervision as to prevent this kind of abuse). well since they reward you for playing a pvp game you can "bot" without using a bot. Log into games, afk at start, rinse repeat. Honest question: would there be so many bots if you had to win to get any rewards? At last I was able to upload videos. I made a full damage+stealth build to destroy not reactive people and bots (and watch them). The bot I caught was the lowest one. It bugs and is very not well programmed. The other mirage bots (I spotted at least 3 of them) don't get buggy and they are much more challenging. They insta dodge + invisibility at the sec. I hit them. So I can't "OS" them like this one. In this map, the bot goes always at close first, if not taken. 2 times he goes mid because close was taken for them. Each time, he stops at the exact same place. He is not reactive at all and don't care at me even when all warns it that I'm here. In this map, the same bot always goes mid first. You will see how they change their routine when they spot an enemy, and run after him. In the fight, it has survability and use all skills like a human player would do. It's like this that they fool people. I was lucky that I got this bot in this map so it's very obvious thanks to bugged path. A small update to show how those bots are prosperous. I even put the 515-638 because it's a bot too. The ranked 1221 shows that they are even doing their affair in low gold division too. I'd be interested to know though how far could bots go. However, i'm not sure bots could run anything else than holding sides 1v1 on mirage, scourge straight running to mid spamming aoe randomly, or eventually DH guard/trap ranger spamming traps and blocks on recharge. I mean, we all know condi spamming works quite well until a certain level, but anything else would be totally useless in my opinion. From my experience, I would say the best bots can go easily mid gold. They follow a path routine and can take all 3 points. And in fight they can be challenging (not like the one in the videos). But they clearly can't go further than gold 3. Even with good teams and doing some damages in big fights, they don't have the brain to adapt strategy. And they don't use portals or tp, or retreat when things become hot. The bots you see in plat are real players using cheats like speed or tp hacks for the win. The auto bots are here just to make money. And they are doing a lot. But I think that the users don't push the auto bots too far to not climb too high, because they would be spotted more easily by players who play more for competition. These bots have a winrate of 44-48%, which isn't bad considering they are literally smashing buttons mindlessly....and which also suggests who you are teamed with matters as much or more than your own ability. Screenshot is giving an error. Load to imgur? Whooo Nelly. Yeah, that's not humanly possible. Its nothing new tbh. Bots always were here and will be. Its all about current state of PvP - that's main problem. Low population of good PvP players makes that bots are more noticeable by everyone. But why population is so low etc etc? Its simple. People these days (2018/2019) dont want to play PvP and spend a lot of their time to practice it in games which dont support PvP and Esport enough. Its just not worth their effort. Which is also indicating quite a problem. In GW1, bots used to be really annoying because they would run 8 interupt skills and you couldn't do anything. Now, if you tell me bots have approx 50% win rate by running mirage or scourge, going straight to the same point and spamming skills on recharge, i believe there is an issue somewhere.. Honestly the botters would have more success by just using ultra bunkers with 0 damage, that go sit at home and attempt to hold it the entire game. It would be easy to mod and much more functional having the bot just defend, rather than attempt to attack. Things like a Ventari Herald or Scrapper with Mine Kit so they are perpetually just knocking people off nodes, and have random high sustain from doing skill cycles. It's more complicated. The "good" bots are really annoying. After point is taken, they go to another and can take all 3 points. In fight, I had to run away from fight many times as a sniper. Why ? When they get hit they insta dodge + invisible and begins to run to you invisible. As programs they react faster than human reflexes. They spam clones and use break focus with invisibility and axe skills. When I get invisible, at the microseconde I respawn, they focus me and put all their skills + clones running after me. This is not like a human player who has to turn camera to see where the thief will reappear. And with mirage, they get many dodges et invincibilities just by spamming skills. I killed many plat players much easier than those stupid mirage bots. ATM I always go close and never move from the point, killing every enemy coming. Just by playing like this I have a nearly 50% ratio in silver1-2. And anyway, if you lose too much, the matchmaking will puts you will players capable of carying you just by themselves. It's how you get the 50% ratio. To answer both posts above : the condition overload is also the problem and what is going to kill " easily " low experienced players. If you get insta dodges, full clones or full bunker sitting home with very few damage, it's not going to do much since you won't have any impact on the game, andpeople hardly gonna 3v1 a far point they don't hold, even beginners. However, i'm pretty sure the scourge bots or mirage bots are able to win 1v2 or even 1v3 in bronze or low silver, and that's a huge problem to me. These builds might have something to change if they're so easy to play a bot can have 50% win rate with them. Well, the final result of the game is not depending of the killing capacity of 1 class or player. It's a 5v5, not 1v1. When I left my nephew play the game, he lost so many games that, at a moment, the matchmaking teamed him with 4 players who were able to win easily against 5 enemies. I remember, he was bronze and he was with gold players against silvers. But I agree on you that mirage have too many tools, and especially against average players. Having them to move around and attack people problably make them look more convincing of being a person to the average player. Imagine instead of being threatened that you may be banned by saying names. Instead we had a wall o shame that after a vetting process we can post videos of the said bot without being banned. Then we can live watch them strip the banned accounts and have them jump to their death like the good ol days. Im not surprised really (esp the mirage comments). I found out a couple months ago a lot of Mirages run macros for max clone generation/explosions (in both PvP and WvW). Apparently I know 2 in NA and 1 in EU that does, and they know of many others. Makes me smh as a Mirage player myself (Non meta DPS) as it gives the honest ones a bad rep.
You dont really get it. Yes, Anet could implement an algorithm to filter those "3k matches" users. What you are forgetting is... the bot are Anet property, to compensate for the low pool. This one don't get stuck in this map and it's routine is to go mid then close. It's detect enemy range is quite short but you can see that he can be a threat for average players who come in his fight range. That or they simply don't get a f....k about bot users and don't want to admit it (so they tells people to use the "report bot" fonction). If the pvp were successfull in esport, they would probably be more serious about this plague, but now... they just don't care anymore. I'm not a conspiracy theorist, but this makes me sad because I actually believe it. I also believe the builds they're using should be altered to make it easy to kill these bots. @Ben Phongluangtham.1065 are you guys at least investigating? Scourge bots make it to plat..
Before long we'll have bots against bots. Matrix anyone? Lol. Thank you to the OP for showing this to the community. I mean, technically there's no proof they're botting. But how the heck can someone play 3000 games in a few months. Man, I fear for anyone that actually does that. WoodenPotatoes talked on a stream this sunday about a scourge bot in platinum and how he went out of his way to deliberately tank it's rating. That, it's not a proof ? Unbelieveable. Not as much the botting itself as the fact that there is nothing ANet can do about it? Yes, it's what makes me sad, it's not the bots, because in everygame there will be bots. What makes me sad and very disappointed is that Anet does voluntarily nothing against them and are hiding things. And it's not because they are very hard to detect and need a deep investigation to not makes mistakes. We all know there are bots because of the broken reward system and the total lack of caring from the creators. Sadly nothing will change and this is how gw1 pvp ended. There were 5 bots to every one human at the end before gw2. At this point they dont care and you just have to understand that. They make money off the simple minded who buy flashy skins like in fortnite. 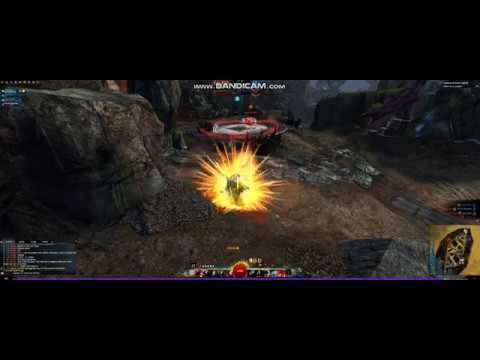 This is the slow end to gw2 and the final stake in the coffin for gw2 pvp. There will be no major advances in gw2 pvp for now and forever it will be 5v5 circlequest where you can only duo which results in wintraders. Pvp is now just wintraders, bots a few hackers, and the remaining players that think its competitive. Gotta wait for guild wars 3 or guild wars 1 remastered 4k. Pvp here is over and has been for awhile.